A developer has been given the green light to press ahead with plans to build a hotel at the site of a listed historic building in Berkshire. Reading councillors recommended the upgrade of the Kings Meadow Pool site in Caversham, at a meeting on Tuesday. A campaign group put forward its own plan, including a new cafeteria, but Askett Hawk was named preferred developer with a revised bid. Opponents have vowed to "look closely" at the full planning application. 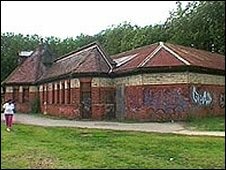 Previous plans for a new hotel and leisure complex were shelved when the 1902-built lido won Grade-II listed status from demolition. In March, the council's culture and sport scrutiny panel agreed to recommend Askett Hawk as the developer offered "a more secure and long-lasting solution for the King's Meadow Pool". Both projects proposed a refurbishment of the pool, which has not been in public use since 1974. Bob O'Neil, of the King's Meadow Trust Campaign, said: "I believe the council had set its stall out in 2002 that it wanted a hotel on the site. "I am very sceptical [about] the idea. We will be looking closely at the planning application and urge the public to make their views heard." Graham Hoskin, councillor for culture and sport, said Askett Hawk's proposal has to be reviewed but he was confident members had made the right choice.